This homestead website charts the history of the McNaught Homestead and informs visitors about progress on the project. 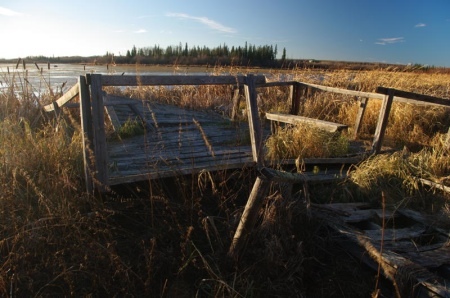 In 2002, Noel McNaught of New Zealand, the widow of John McNaught of the Beaverlodge area, contacted the Prairie Gallery in Grande Prairie, Alberta, Canada stating a wish to lease the 160 acre Homestead to a group. The stipulation was that the land and buildings be preserved as a Heritage site in recognition of her sister in law Euphemia McNaught's contribution to art in the Peace River country. 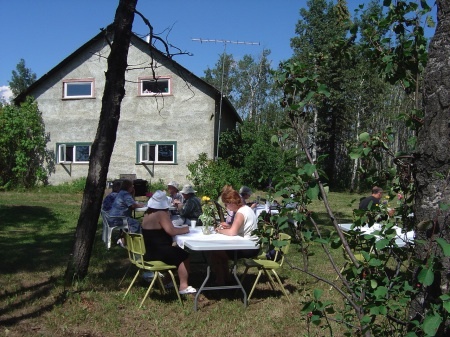 The McNaught Homestead Preservation Society began in early 2003 as a Working Committee formed from representatives of the Prairie Gallery in Grande Prairie and people in the Beaverlodge area with an interest in the homestead Site. Provincial Historic Site Status was applied for and the Prairie Gallery began the legal process to obtain the title to the Homestead for $1.00 (one dollar) from Mrs. McNaught. 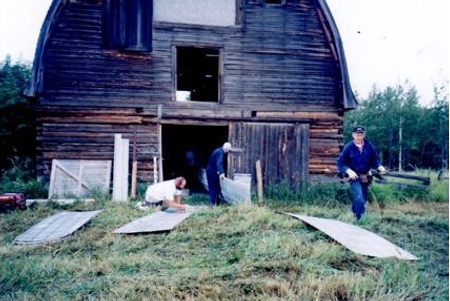 In October, 2003, a Sod Turning ceremony was held on the site to celebrate the designation of the Homestead as a Provincial Historic Site. In March 2004 it was listed with Canada Historic Places. In January 2005 the Society received official status as an incorporated Non Profit Society and a Founding meeting was held February 26th, 2005. A presentation was given by David Leonard, Project Historian with Alberta Community Development, a Board of Directors' was elected, memberships sold and a visioning workshop was held. By Fall 2005, a Restoration and Interpretive Study by Field, Field & Field, Architects and Engineers, was completed on the Homestead which has served as an Evaluation and Planning guide for the Society. By May 2006 the land title was transferred from the Prairie Gallery to the Society. 2) To restore and preserve the designated historic buildings of the Homestead as close as possible to their original use and location and to give access to the public to see this excellent collection of historic buildings in their normal setting as a part of a pioneer homestead in the early 1900s. 3) To restore and preserve the garden area, fences, cultivated farmland, trails and natural habitat of the Homestead site. 4) To establish an access to the lake for the purpose of appreciation for the resident bird life (Trumpeter swans, herons, ducks and geese) and the scenic features of McNaught Lake with a Boardwalk and viewing area for nature and art lovers to use. This to be done with the assistance and cooperation of Ducks Unlimited, local and provincial habitat personnel and other friends of fauna and flora.